I feel inclined to share a bit about my experience with Tanya at Soul 2 Soul Conversations Tanya has grown to be quite an integral part in my spiritual journey. She is not just an individual who will tell you what you want to hear nor is she one to spend time on superficial things that will occur, instead she takes the time to help you understand the core of yourself so that you may move forward in an empowered way to manifest and live out your purpose. She assists in your healing, many times in areas you did not realize were even holding you back. For those who ever feel as though they have met challenges, set backs, have not reached their potential, want more out of their overall contribution to life, it definitely helps when you receive a bit of divine guidance and assistance from such a skilled spiritual intuitive. Through my relationship and interaction with Tanya, I'm continuing to gain insight on the ways in which I can further my growth, which is an exciting, eye-opening, self-reflecting process I encourage many others to embrace. I was referred to Tanya by a friend. I received a Quick Read (3 questions) and was amazed and a little scared at how she not only knew the situation, but she also provided support, encouragement and clarity to my issue. I then had a phone reading with Tanya. Let me tell you, if you are not ready to hear the truth about yourself and your life, do not ask for a reading of any kind! LOL!! She went straight into me, and only because I invited her in, and she helped me to understand not only who I am becoming, but who I am and who I was. After my phone reading, I felt like I could move mountains! I no longer felt awkward, incapable, unloved or alone. Tanya is now my spiritual advisor who is helping me to heal, to grow, to achieve, and to succeed. I am so happy to have met this golden gem of a psychic!! Thank you to all of you who contributed the time and energy to post feedback. It is always a blessing to read or to become informed on how the readings helped your journey. As my 'soul purpose' is 'to assist in the healing of others', my spirit basks in love-filled, empowering energy every time I make the connection needed to impart enlightenment, clarity and knowledge. As each of you who read this embark on your own healing and/or spiritual journeys, make sure you have a support group in place and if you choose to contact me for support, I will become an enthusiastic member of your 'elite' team. However, know that I will always relay the truth of what I see, feel, hear and know...which means, it's best to have some sort of self-awareness and some level of self-commitment before I am contacted. She is simply put, AMAZING! A MUST TRY at least once. I have been a client for years now and her guidance is what has helped me and continues to help me get through my journey of healing and growth. A few years ago, I was faced with some major life crisis where I really did not know what to do and felt so lost. Her guidance and unconditional support/love via her readings and out communication (although sometimes she can be 'tough') has made this process one of major growth and learning. I will forever be eternally grateful to her for what she has done and continues to do for me and my family and friends (even if they don't know it). If you are 'on the fence' about reaching out to her and getting a reading, take the leap...you will not regret it. Tanya is my BFF in my head. Although we have never met in person only via email, She's the friend that will tell you like it is. But the best part is that it's from an intuitive God source and not just her opinion. My first reading with Tanya was spot on. She has helped me stay focused on my path and be open to the divine way that life unfolds. After receiving her readings I always feel enlightened and like a weight is released from me. She has confirmed some of my deepest intuitive feelings. Any reading from her is absolutely powerful! Tanya is a breath of fresh air, a wake-up call, the REAL DEAL. Tanya is someone I trust with knowing and feeling all the things I know and feel about myself - plus all the things I hide and aren't aware of! I first contacted her more than 10 years ago but have been more closely connected in the last year and a half. I hit a major crossroad and went through a number of life changes (of which may not have been so traumatizing/dramatic had I listened more closely to that first reading!). I survived, pushed through and am on my way to healing in a way that I'm sure would not be possible if it weren't for Tanya. I've experienced a wide range of her services, mostly by email but also by phone and in-person. She is spot-on, really hits home and is always helpful. She has this energy and kindness that makes the harsher truths easier to swallow. She genuinely wants to help you and make the world better. Tanya is talented and one-of-a-kind. I am so thankful to have met her and recommend her to friends and family that may benefit. Thank you, Tanya - you're a LIFE-SAVER! Tanya means so much more to me than just my psychic. The amount of effort it takes to be able to consistently inspire me, us, her clients, must be exhausting. But she does it. I always refer back to her spiritual guidance via email & she has always been dead on with her messages filled with pertinent, honest information & tools for empowerment. I oftentimes receive emails from Tanya that are for the sole purpose of enlightenment. These tid-bits of truth have absolutely changed my life. I know that she is fulfilling her 'soul purpose' with each service she offers from Soul 2 Soul Conversations because I've utilized almost every available service and have benefitted in an inestimable way. Because of Tanya, I truly understand I am not alone in my life struggles and that God is real, ever present and always on my side. I am Tanya, the Spiritual Intuitive about whom you all speak. I am honored to have such Gifts and to be able to share them as I honor my soul purpose of 'assisting in the healing of others'. Tanya has been my Psychic Advisor for more than 10 years. I honestly don't know what I would have done without her guidance. I do know I would not be in the place I am know without her. She was there with me through my divorce and she prepared me for some huge obstacles that I would not have been prepared for without her guidance. Because of her, I was able to get legal assistance to make sure that I would not lose my home. Tanya assisted me so that I could prepare my Son to deal with issues with his Father. Tanya guided me so that I could have an open and honest discussion with my Son to help him deal with his disappointments and anger as it pertained to his Father. Again, if I hadn't had the reading with Tanya, my own disappointments and anger with my ex-husband could have gotten in the way of supporting my son through his emotions. These are just a few examples of how Tanya has encouraged me, supported me and guided me to look at my own issues, and to deal with them so I could heal from my past. From job seeking, career changes, personal relationships, to financial issues...Tanya's ability to see forthcoming obstacles gave me an opportunity to prepare myself. Just being more aware of issues helped to relieve some of the stress. I've even received loving messages from my Mom, who has been deceased for many years. These messages gave me so much peace and the closure I so desperately needed. If you are in need of spiritual guidance, whatever you need, I highly recommend Tanya. She is a very caring person, but she is very unfront...she tells it like it is, and this is often exactly what we need to hear. My friends have thanked me for referring them to Tanya. I never impose on their readings, but they come to me after their reading with a look of amazement, and they are so very appreciative of the insight. Several of my friends were also able to help their children through an issue that was forthcoming because Tanya was able to provide them with the insight and guidance to prepare and deal with it. I have to share with you how Tanya at Soul 2 Soul Conversations has become an essential source of guidance, inspiration and healing in my life. Tanya's ability to connect with me and the major people in my life, her ability to be so in tune with me has been a saving grace that has enabled me to make better choices and decisions in my life and for my love ones. Sometimes we say "if only I knew" or "I wish I would have known, I would have done things differently', thanks to Tanya I do know and I am able to do things differently and try to avoid making terrible choices and/or decisions. Tanya doesn't sugar coat things she tells you exactly what you need to know or do. I have learned who and what is really important in my life and not to waste time and energy on people and things that are really insignificant. Tanya is a rare gem and a true gift, she has helped me to see more clearly, heal from wounds and experiences I didn't even realize affected me so much. I thank God for her gift, I see myself growing stronger and more positive because of my interactions and readings with Tanya. The area of concern readings, phone readings as well as the Power Forward has helped me tremendously. When ever I'm in doubt or I need clarity, feeling depressed because of life changes her reading will forces me to think, react and see things from a better prospective; it gives me faith and encourages me to make changes and decisions that are essential in improving my circumstances and bringing about a positive outcome. Over the course of the last year, I have encountered a couple of major crossroads. Tanya's extraordinary insight helped give me a better understanding of what I was experiencing. The information she shared helped me prepare for a great opportunity that came my way! Tanya has assisted me with many different readings. Recently I had a "Relationship Reading". The reading was for myself and my mother, there have been issues we needed to discuss so that we could move forward with healing. I understood why certain things happened during my childhood and how my mother felt after receiving the reading. At the end of the reading she gives a divine suggestion for the relationship of both individuals, mine was to share the "Relationship Reading" with my mom. I read the reading, the next day I spoke to my mother and shared the reading with her. The next day she called and apologized. I was in shock, I waited for so long to hear her say "I'm sorry" and mean it. I felt a brick had been lifted from my chest. I felt free. While we still have work to do it's a step in the right direction. I thank God for Tanya she's been more than a Spiritual Clairvoyant her gifts have made her a Earth Angel for those who need to heal and receive the truth. Tanya is genuine, caring, and tells the truth. I’ve been receiving readings from Tanya for years and she never ceases to amaze me. She has helped me figure out stuff about me that I hadn’t even began to realize was such a huge issue. She’s not just a psychic, she’s a person, and her only goal is to help you along your spiritual journey……but that’s as long as YOU want to help you LOL. "Soul 2 Soul Conversations" is and always will be my go to place when I need a bit of clarity. Why: Because I needed guidance. How Well She Did: Really well - I've consistently utilized Tanya’s services and referred her over the years, and will continue to do so! Engaging with Tanya has been more beneficial than traditional therapy. Tanya's gift has truly helped me heal and find inner peace over these past 15 years. Our conversations have made me less fearful of the Spiritual world and the unknown and more trusting in God. It's not like this poetic, self-helpy, pseudo-metaphysical spacy thing; it feels like a grounded conversation, in which I receive clarity. She tells things to you straight - so if you're not ready for it, then don't talk to her. I started out doing the Spiritual Reading, where I would ask questions and she would answer. And then there were times that I just didn't know what to ask, but I was still searching for 'direction,' so the Divine Focus readings were very useful in those times. I most recently do the Power Forward monthly service, which is great interaction of the two aforementioned services (at least for me). I think the 15 years of my working with her is testament to how amazing she is :) There are others I can go to, and have been recommended to me, but have not felt the need to. I fully recommend Tanya! I was introduced to Tanya (Soul 2 Soul Conversations) in the aftermath of my father passing away. I was in a tremendous amount of pain, and if it were not for Tanya’s spiritual guidance I don’t believe I would have been able to get through. Today I stand, approximately 10 years later, and still seek Tanya as a source for clarity, wisdom, and healing. I often feel alone in this world, as many of my closest relatives have transitioned. However, through the ’Divine Communication’ readings, Tanya is the link to my "deceased" loved ones. I have received invaluable messages from my ancestors that have been a great source of comfort, and a reminder that I am never alone while journeying planet earth. In adulthood, I have learned and accepted that "Troubles are inevitable," however Tanya will help you realize that "misery is a choice." I now understand that we all need healing from this or that, we all need spiritual guidance at one time or another, and we all need help every now and then…I am grateful that Tanya has assisted me with all the above. I suggest you reach out to Tanya at Soul 2 Soul Conversations if you are ready for true counsel and not just answers to superficial questions. She is a psychic that will enrich your life and become your "spiritual best friend." When I'm in need of an assessment, I request the Spiritual Reading via Email from Tanya's site. I can go months without interacting with her (emailing, requesting readings) but once I purchase that reading, she becomes re-acquainted with me! She is definitely gifted because this sort of reading is on your whole life (self, love/relationships, career/work and finances/income). Yet she doesn't allow you to ask questions beforehand because it's an intuitive assessment of your life! She uses her gifts to tell you what's going on, has occurred and is likely to occur in your life! How does one do that without seeing a person or even their image, hearing their voice, or them simply posing questions?!?! I have been working with Tanya for a couple of years now. Her gift has helped me to realize my own! When I first started my spirit was so excited. It still is! Yet when I decided to let go and let God, is when my true journey began. I am forever greatful for Tanya. She had helped me to find my true reflection and challenges me to find my truth in everything. Tanya is start forward, honest and a blessing in my life. I hady first reading from Tanya a while back. But it's not just the readings that has given me so much clarity and guidance. I am most appreciative of the frequent emails throughout the week that are always on point and right on time. It's like the guidance never ends. I feel reassured and get confirmation about things in my present and past experiences. I highly suggest her services if you're ready for the truth!!! I have had a couple readings from Tanya and I can honestly say that every reading was straight to the point 100% accurate. She is very down to earth she will make you laugh and just feels like a cool aunt giving you the raw truth about whatever question you ask. I love my readings and will continue to get more. Thanks Tanya. More than just a "psychic"
I think we've all been there - at crossroads in our lives. I was lost when I invited Tanya into my life. I was unsure of myself, making wrong decisions, and knew I wasn't living the life that I was supposed to be. I got tired of living my life so unconsciously.  If a psychic is legit, he/she SEES/FEELS/HEARS/KNOWS all the parts that you HIDE from yourself and others. So readings can make you feel very vulnerable, and it's important to find one that you trust implicitly. I, and so MANY of my friends, have found that trust with Tanya. I am forever grateful to have her as my spiritual "guidance counselor" and her choice to share her amazing gifts with the me and others. Tanya, you are A W E S O M E! I requested a 'Relationship Reading' from Tanya at Soul 2 Soul Conversations. I was blown away! The reading is done via email and is for any serious relationship; I requested it for a business relationship. What I received was enlightenment on the other person in the reading (my business partner), clarity on my perception and focus in the partnership, and advice on how to maintain the partnership - if I shall. I posed no questions; Tanya used her gifts to reveal what I needed to know. She is a very Gifted intuitive. I can now proceed with this partnership in consciousness and with caution. I am someone who has consulted a personal psychic/ spiritual adviser for years and completely believe that having intuitive capabilities are a very real thing. You MUST deal with someone who is willing and able to tell you things you don't want to hear, and he has done that and more for me throughout my journey of discovery since 2008.  About 6 months ago, I reached out to Tanya in an effort to seek a new source of advice (I had not spoken to my adviser in some time as I had been training myself to be more decisive and self reliant on my OWN inner guidance) - I received a few quick reads and a quarterly reading from Tanya. While I believe Tanya means well and has probably helped others as they say, she was not as in tune with me as others claim she was for them. I received all my readings via email, something I had never done before. The things she pointed out completely contradict with my own intuition and didn't resonate with me at all. Moreover, the readings really didn't provide me with any more insight than I already came to the reading with and seemed to always point to more negative issues and areas needing 'healing', none of which I recognize and still don't, than positives. The greatest gift I received from my readings with Tanya is my own personal awareness that I am now starting to hear my OWN intuition more clearly, and huge area of growth I can see in myself, and that my own inner voice (in concert with God and my spirit guides) is the ONLY guidance I need to lean on to move through this life's journey. No one can possibly be more in tune with my own life than me and God has given me all the tools I need to get answers inside of myself. So, from that stand point...my readings with Tanya helped me to see how much I can now be confident in my own intuition over that of a psychic, no matter how spiritually in-tuned they claim to be. I will not be seeking another reading but certainly glad I did.